Mark E. Silvey is a native of Knoxville, Tennessee growing up in the Halls community, with family ties going back several generations. Marks grandfather Adrian Burnett served on the Knox County School Board for a number of years. He received a bachelors degree in history from the University of Tennessee in 1984 concentrating in the study of medieval Japan and the early 20th century in the United States. He was an invited participant in the Honors History program in 1983. He served on the Deans Student Advisory Council for the College of Arts and Sciences. Mark received his law degree in 1988 from the University of Tennessee. A member of the National Trial Team, he received recognition as an Outstanding Clinic Student for the Spring 1988 semester. After graduation, in 1988 Mark accepted a position as Associate Attorney with the firm of Wilson, Worley, Gamble & Ward, PC in Kingsport, Tennessee, where he represented a wide range of clients including hospital, railroad, industrial and medical clients. In 1991, Mark decided to return home to Knoxville and founding the firm of Bosch, Silvey & Lusk, PC. While part of the firm, Mark handled all types of litigation including, domestic relations, personal injury, business, real estate and federal criminal matters. Offered an opportunity to relocate to Atlanta, Georgia, in 1997 Mark became an in-house attorney for State Farm Mutual Automobile Insurance Company. Staying in-house but moving to Travelers Indemnity Company in 2001 in Atlanta, Mark returned home to Knoxville in 2006 to open a new in-house counsel office for Travelers. 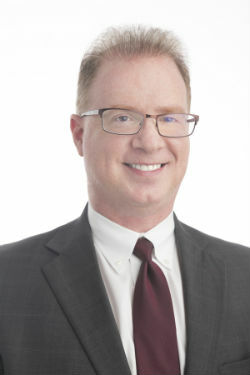 Mark returned to private practice with Greg Coleman Law PC in 2010. Marks 25-year litigation career highlights includes over 100 jury trials, over 100 bench trials and numerous appellate cases. An active musician with wide ranging interests, Mark currently acts as the legal advisor to TheMarchingRoundtable.com. Mark is now one of the Senior Attorneys at Greg Coleman Law, and acts as attorney on serious personal injury cases and in complex litigation/class action cases for the firm. 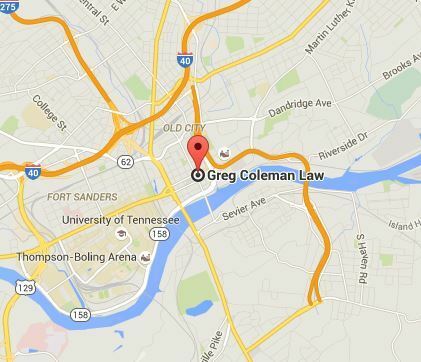 If you would like to meet with Mark E. Silvey or any of the attorneys at Greg Coleman Law for a free case evaluation, please call (865)-247-0080 to schedule an appointment.